In a big race like the Rolex 24 At Daytona, sometimes it’s the little things that make the difference. A small miscalculation on the part of the Wayne Taylor Racing team very late in the race essentially erased what could have been a mad dash to the finish. Rules prohibit one driver being behind the wheel for more than four hours in a six-hour period, so with just 10 minutes to go, the team had to pit for an unplanned driver change. 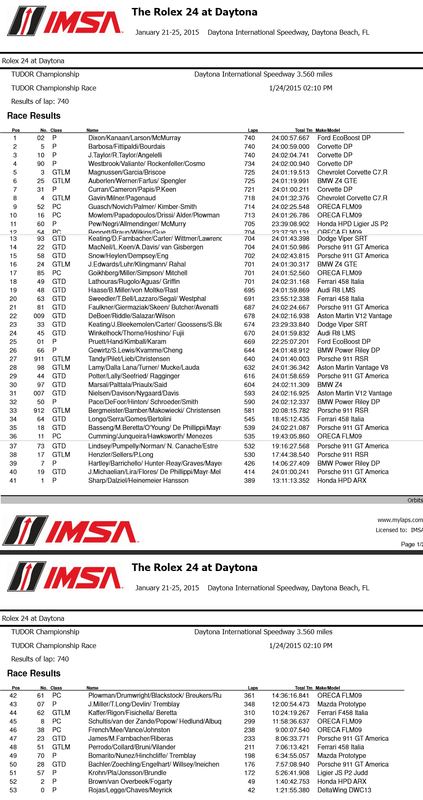 Even so, after 24 hours, 740 laps and 2,634.4 miles, the 2015 Rolex 24 at Daytona still came down to a seven minute, 30-second sprint to the checkered flag that saw the No. 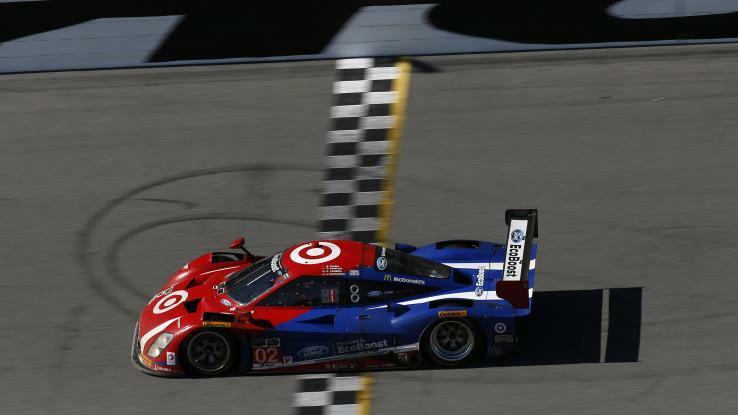 02 Chip Ganassi with Felix Sabates Ford EcoBoost-powered Riley DP squeeze out a 1.333-second victory over the defending Rolex 24 champion No. 5 Action Express Chevrolet Corvette DP. The Wayne Taylor Racing Corvette DP had to settle for third after an unprepared Ricky Taylor had to step in for brother Jordan. “I was not happy to get back in the car,” Ricky Taylor said. 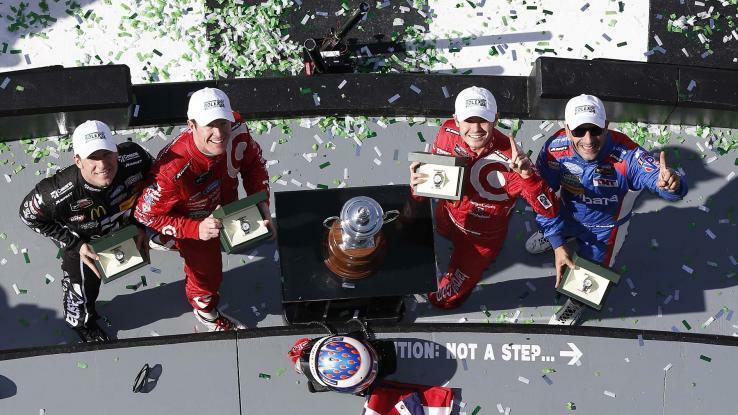 IndyCar star Scott Dixon drove the closing stint in the Ganassi car, carrying his three teammates – fellow IndyCar driver Tony Kanaan and NASCAR racers Jamie McMurray and Kyle Larson – to the Prototype class and overall win. Dixon has won the race before in a Ganassi car, but it’s the first win for Kanaan, McMurray and Larson. The victory makes Ganassi the winningest team owner in the history of the race, and allowed McMurray to join A.J. Foyt and Mario Andretti as the only drivers to have won the Rolex 24 and the Daytona 500. Sebastien Bourdais, another visiting IndyCar driver, drove the closing stint in the Action Express Corvette DP, taking a solid, but still disappointing, second with teammates Christian Fittipaldi and Joao Barbosa. The good news for the team: They are running for the season championship, but the No. 02 Ganassi car isn’t, so the Action Express car has a good jump on another season championship in the Tudor series. Just over a minute back was the third-place Wayne Taylor Racing Corvette, with brothers Ricky and Jordon Taylor sharing the car with veteran Max Angelelli. The fourth-place Prototype was six laps back, so it was definitely a battle between the top-three finishers. The seven minute, 30-second dash to the end was created by a crash, and then a fire, in the class-leading Prototype Challenge No. 54 CORE autosport Chevrolet-powered Oreca FLM09, which was being driven by Colin Braun. The car then caught fire, but Braun escaped without injury. That left the door open for a Prototype Challenge win by the No. 52 PR1/Mathiasen Motorsports car, driven by Tom Kimber-Smith, Andrew Palmer, Andrew Novich and Mike Guasch. Kimber-Smith was driving at the end, and he said he was “definitely surprised” at the opportunity created by Braun’s crash. In the GT Le Mans class it was another close one, with the No. 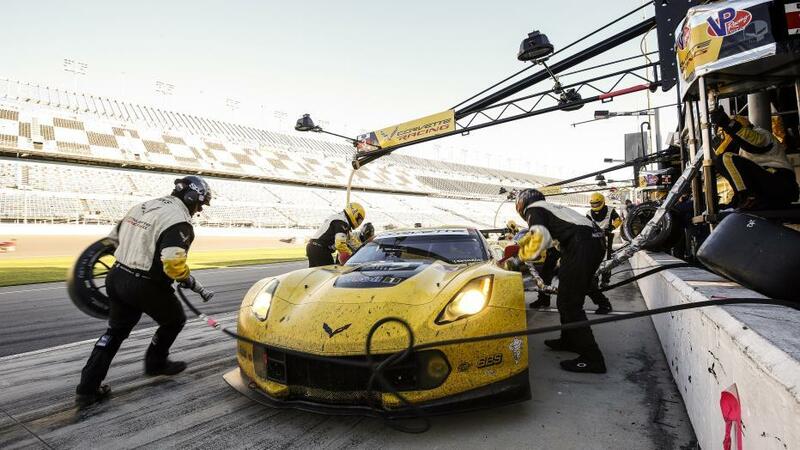 3 Chevrolet Corvette C7.R taking the class win and a surprising fifth overall, just 0.478 seconds ahead of the No. 25 BMW Team RLL BMW Z4 GTE. Antonio Garcia drove the winning Corvette home, and he shared the ride with Jan Magnussen and Ryan Briscoe. 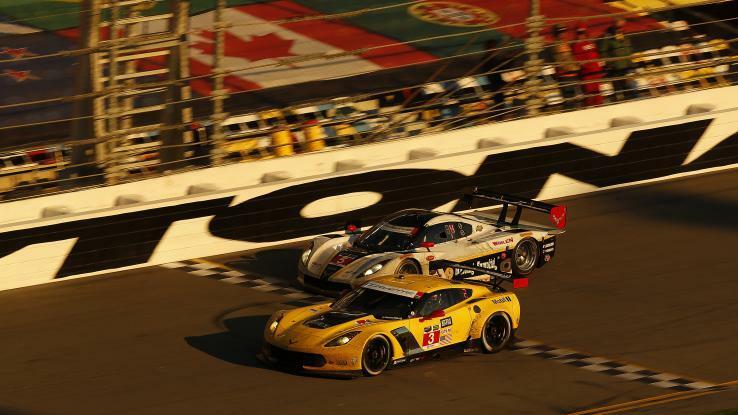 It is Corvette's first Rolex 24 win since 2001. For Magnussen, a former Formula One driver, the victory was proof that persistence pays. In GT Daytona, the No. 93 Dodge SRT Viper finished first in class, 13th overall, 7.6 seconds ahead of the No. 22 Alex Job Racing/WeatherTech Porsche 911 GT America. Dominik Farnbacher co-drove the Viper with Al Carter, Kuno Wittmer, Cameron Lawrence and team owner Ben Keating, who is the world’s largest Viper dealer. 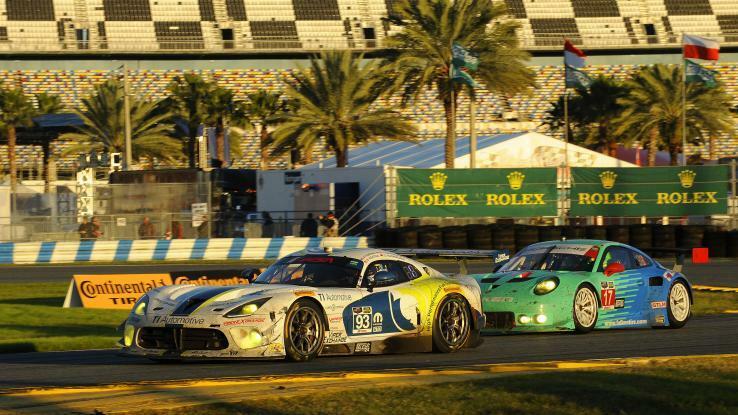 Since the factory-backed Dodge Viper team ended its racing program after winning the GTLM title for the 2014 season, Keating said it was important to bring the car back to the Rolex 24. “This one is for the Viper Nation!” Keating said. Fifty-three cars started the race, which ran under mostly clear skies and cool temperatures after a heavy rain Saturday morning. 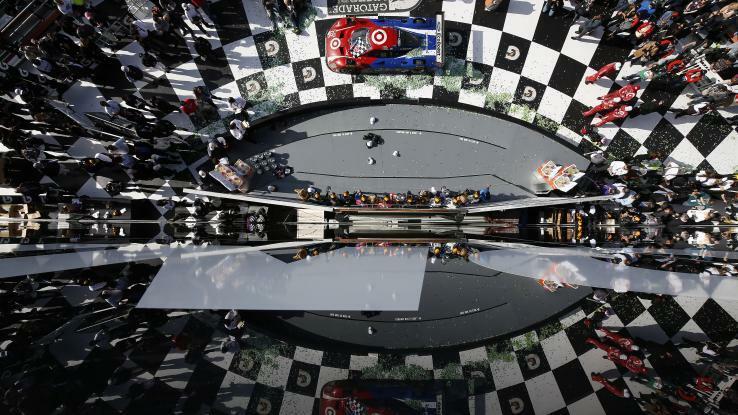 Race pace was faster than 2014, the first year for the TUDOR United SportsCar Championship, when the winning car completed 695 laps, compared to 740 this year. Next up for the series: The Mobil 1 Twelve Hours of Sebring on March 21. “It wasn’t nice to see him in the wall, and it definitely wasn’t nice to see the car on fire,” he said.